What makes Corrective Hair Solutions (CHS) different? Simple. Simple. CHS is different because each and every CHS solution is tailored to your individual needs. 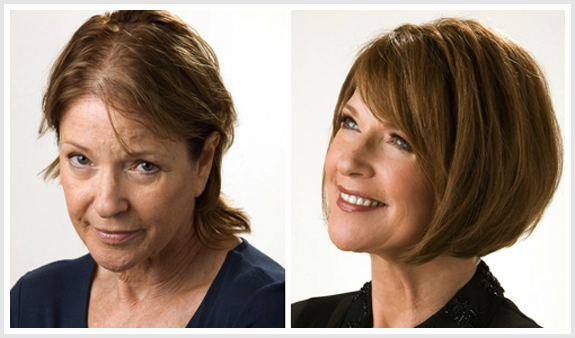 Hair loss is hereditary, and conditions such as alopecia in women are common reasons for the hair replacement women are seeking. For example, you’re a woman with diffused hair loss over your entire scalp but with a workable front hairline. Or you’re a woman with patchy hair loss throughout your scalp. How is it possible the same solution could work for both conditions? It can’t. A woman experiencing hair loss in the temple areas doesn’t need hair weaves for thinning hair or a solution that covers or obstructs her existing hair. Yet almost every hair restoration method to date has focused on a singular methodology that tried to be all things to all people. 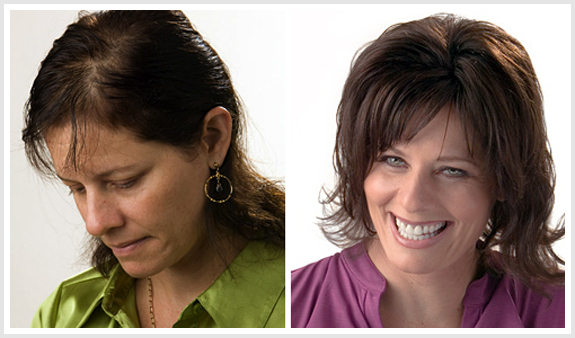 CHS is based on a series of individualized solutions to your unique hair loss condition. Corrective Hair Solutions (CHS) is unique. Because different hair loss conditions require different solutions, CHS represents not just one individualized solution but many, used together or alone, that will solve your unique hair loss condition and restore your natural appearance and more! When you entrust a Corrective Hair Solutions provider near you to design your new CHS hair, they take into consideration your unique pattern of hair loss, your rate of hair loss, your age and your hair’s natural growing patterns and tendencies. Then they develop a customized and individualized solution tailored to your specific needs to allow you to look like you again. 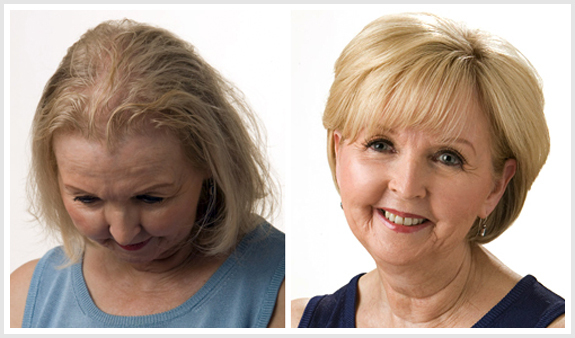 People experience hair loss for both genetic and non-genetic causes. Telogen effluvium treatments are for people who suffer from a number of non-genetic hair loss factors such as emotional disorders and malnourishment, while hair extensions may be used to enhance the look of thinning hair. Corrective Hair Solutions (CHS) was developed to offer individualized solutions to the unique hair loss conditions different women experience. Conditions such as Female Pattern Baldness and types of Alopecia in women may have nothing to do with stress, chemicals or the food you eat. They also have nothing to do with over-exposure to the sun, over-shampooing or other abuses to your hair. Most female hair replacement is needed because of a genetically inherited inability for the scalp to properly break down DHT, a byproduct of the hormone testosterone. Your genetic makeup is as individual as your fingerprint. How much hair you’ll lose, where you’ll lose it, the pattern in which you’ll lose it and the rate at which you’ll lose it are conditions that are unique to you. 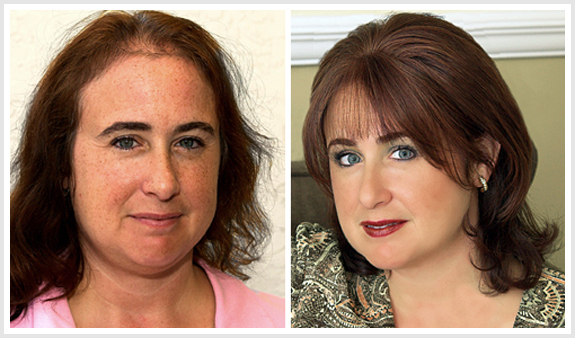 Some women suffer from conditions like trichotillomania and require specialized treatment. Trichotillomania is an obsessive compulsive disorder, a pattern of hair pulling that is often stress related. 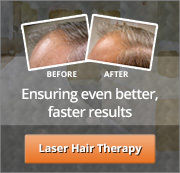 You need a hair restoration solution that can solve your unique hair loss condition. That’s why CHS was developed.